Judith Amores’ video showcases her final project where she took inspiration from chemical reactions. The tools we choose influence our design process. Digital modeling has been around, of course, but it’s been confined to the screen—to high-quality renders and print-outs. 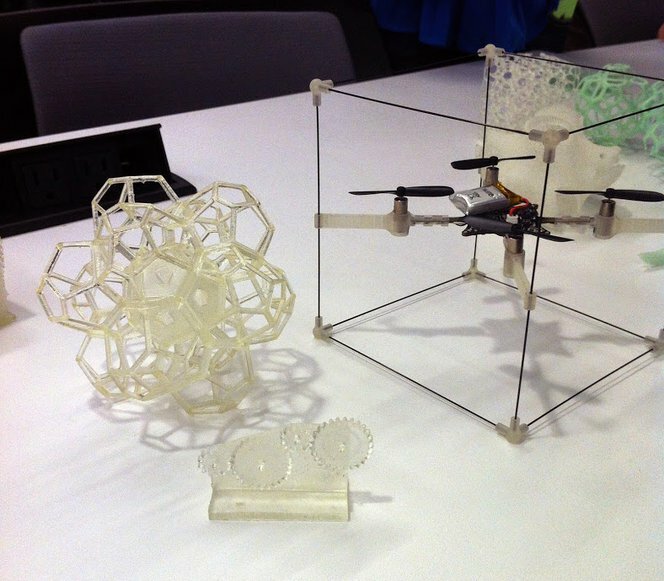 Now that so many are adding 3D printing to their design process, we’re noticing how it changes the way they design. Bringing ideas into the physical realm can help designers find new ideas and inspiration. This semester we had the opportunity to see that change first-hand, collaborating with the Mediated Matter group at the MIT Media Lab for their new class, Principles of Computational Design and Additive Manufacturing. This four-week course brought together a group of talented graduate students from varying disciplines across MIT and Harvard GSD, and introduced them to the fundamentals of computational design and additive manufacturing. The students absorbed a tremendous amount of information in rapid succession, starting from communicating concepts and documenting processes, to realizing their ideas through complex surfacing, parametric scripting, and further physical exploration in 3D fabrication. In the 3D printing module, students had access to an array of Form 1+ 3D Printers alongside a few standard FDM machines. Their complex designs were challenging to produce, but by learning about the different 3D printing technologies they were able to refine their designs and optimize them for the particular printing process they chose to work with, creating some beautiful, impressive projects. Thanks to the Mediated Matter group and students for sharing their amazing work with us. If you’re interested in running an educational program you might find more inspiration from our recent collaboration with Design products at the RCA in London, and a computational design workshop run with Zaha Hadid Code at ACADIA 2014. Student projects from Mediated Matter's course.